How to Help Your Child Succeed on the Standardized Tests? Structure your routines at home to support test success. First, find out the test dates. Then, make every effort to structure your child's environment in the upcoming weeks to support adequate sleep, a healthful diet, and stress reduction. When children are younger, you can make sure that your child goes to bed at a decent time. As children get older and become more independent, introduce quiet activities later in the evening, and encourage homework completion either after school or immediately following dinner. Strive to prepare nutritious meals and snacks (especially breakfast), as this can play an integral part in giving your child the mental acuity and energy he or she needs. Finally, help your child manage his or her stress by discussing anxieties your son or daughter may have about the test. Consider teaching your son or daughter simple stress management techniques (see last week's blog on stress management for more ideas). Most children benefit by taking practice tests and becoming familiar with the standardized test's vocabulary (especially when it comes to directions). Contact your child's teacher to obtain review materials or purchase a review test workbook to use at home. If your child is weak in a certain area, do your best to help him or her with this subject when it comes to everyday homework, studying, etc. Or, you may wish to hire a tutor if you do not feel confident in that particular subject area. Take advantage of school resources. Many schools offer free or low-cost after-school programs and clubs that support academics. Homework clubs, math tutoring, and catch-up clubs (for students who miss work or need extra help with classwork) are just a few of the programs many schools make available on a daily basis. 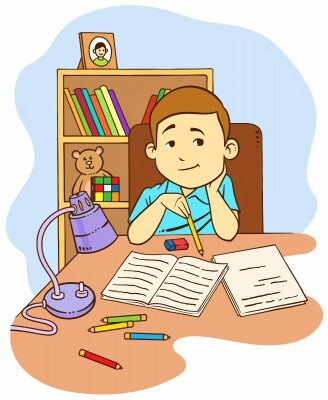 Some elementary schools offer homework assistance or tutoring as part of their after-care programs. Contact your child's school to find out what options are available. Take a year-round approach to test preparedness. While it's true that the test is given each spring, don't wait until March or April to prepare! By being involved and interested in your child's education throughout the year, you will both prepare your son/daughter for the test and also send a strong message – that you value education. Base academic decisions on results. When you receive the results each fall from the NJ ASK, look at your child's strengths and weaknesses. Use this information to devise a "game plan" for the upcoming school ear to help your child brush up on weak areas. By improving, your son or daughter will develop confidence, and this can translate into less anxiety when taking formerly-difficult parts of the test. With better skills, greater security in his or her ability, and a more relaxed outlook, your child will be in a much better position to achieve improved results year after year. Don't delay! Start now, and do whatever you can to help your child do his or her best on this year's NJ ASK.